It appears as if a Google Play Edition of the Galaxy S5 will be arriving at any moment now. Google changed out the picture on the Galaxy S4 Google Play Edition with an image of the Galaxy S5, today, so we can only imagine the full listing will be updated shortly. 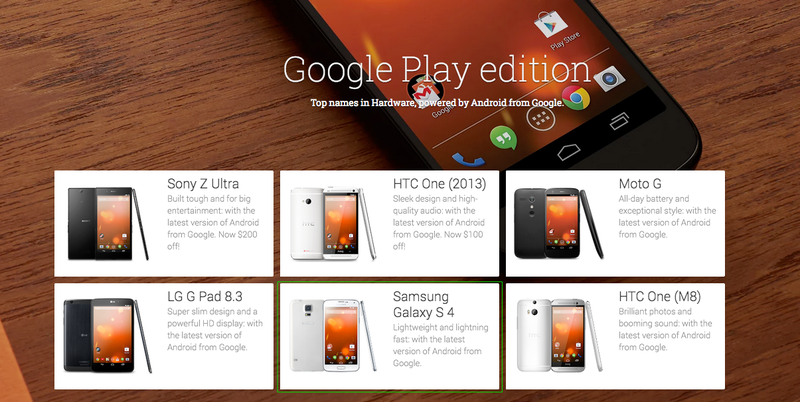 If not, then Google has lost its mind – why else would they toss in a picture of the Galaxy S5? 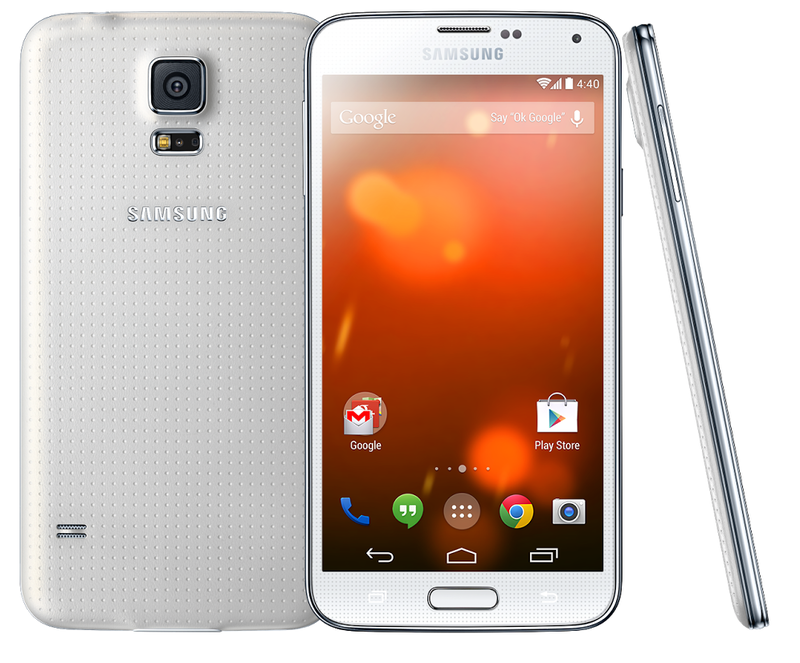 We should point out that the image they are using is a pretty terrible mock-up of the GS5 GPE. You’ll notice the on-screen keys, coupled with the physical home button. Come on, Google, you are better than that. Or did you mean to do that? Interesting. Big ol’ image of it can be seen below. Dimples, heart rate sensor, camera placement, design – check, check, check, and check. That is indeed the Galaxy S5.